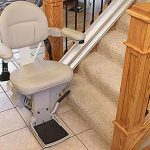 For individuals who are unable to climb stairs due to a disability, a progressive illness, or simply due to aging, a straight or curved stair lift, or a platform wheelchair lift, is often needed. The first thing to do when evaluating the need for a lift is to consider the level of mobility of the person that needs the lift. The following discussion will help you understand how mobility relates to lift selection, and help you determine whether you (or a loved one) requires a straight stair lift, curved stair lift or a platform wheelchair lift. 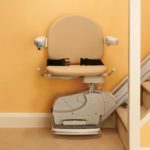 Who is the best candidate for a stairlift? Stair lift users include those individuals who are mobile and able to walk but simply unable to go up and down stairs; and those who can independently transfer from a wheelchair onto the stair lift seat. Who would use a platform wheelchair lift? 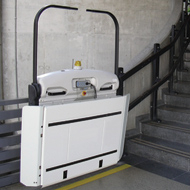 The platform lift is designed to be used by individuals who are unable to transfer out of a wheelchair or a scooter, and must be lifted up or down the stairs in the wheelchair. The vertical platform lift carries a wheelchair or scooter on a platform directly up and down from one floor to another, or from a sidewalk to a porch, for example. The inclined platform wheelchair lift carries a wheelchair or a scooter up or down a flight of stairs. 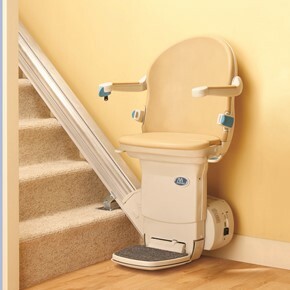 The lift is secured with brackets to the floor in the same way that the conventional stair lift is secured. 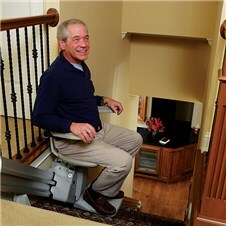 It can also be mounted directly to the wall adjacent to the stair. The straight inclined platform wheelchair lift is used in homes or offices with one flight of stairs and no intermediate landings. Weight capacity: Be sure the weight capacity of the lift exceeds the actual weight of the mobility device and the person who will be using it. Platform size: Carefully measure the length and width of your mobility device to select the appropriate vertical or inclined lift platform size. 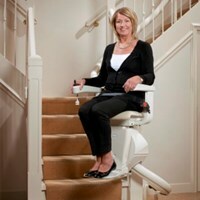 Certified installer: Be certain to select a reputable, state certified stair lift installer. 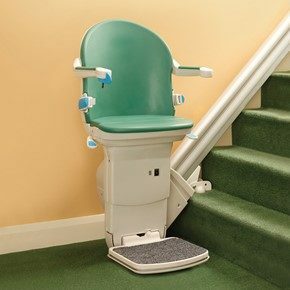 Summarizing, a stair lift requires the individual to transfer onto the stair lift. 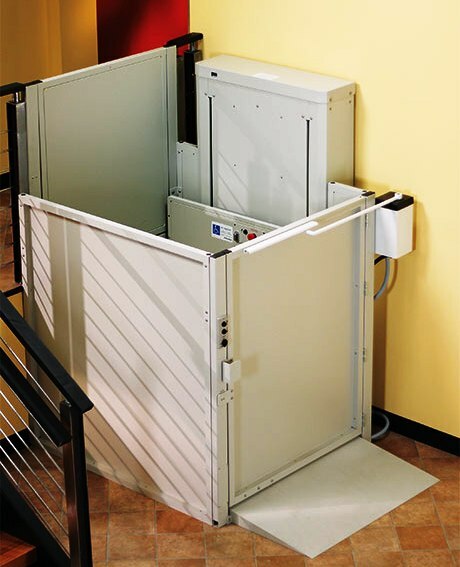 If the person with the mobility issue requires a lift for a transfer, or has great difficulty transferring, then you may require a vertical lift, or a ramp. A vertical lift moves the person while they are in their wheelchair, and does not require a transfer. A good description of the differences in the equipment is available at this link. Would you like to learn more about the differences between straight, curved and platform lifts? 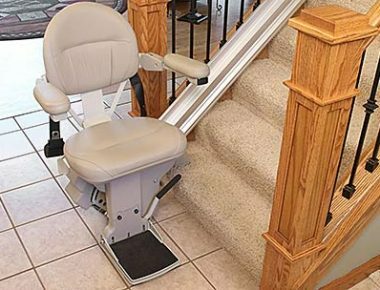 Contact the lift experts at Stair Lifts Atlanta, LLC by telephone at (770) 880-3405 or by sending an email using the contact form to the right. We can arrange a free home assessment and discuss cost-effective pricing and general information about lift availability and installation. Do you need other home accessibility options such as roll-in showers, walk-in tubs or roll-under sinks? Contact us today for more information at (770) 880-3405, or submit your information in the contact form to the right, and we will call you. 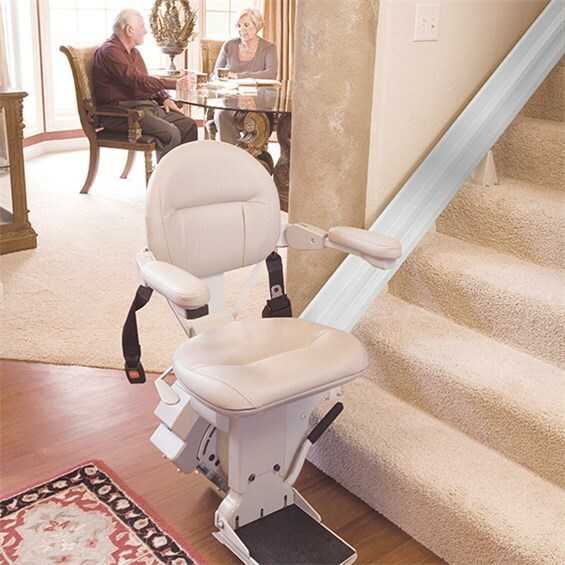 This entry was posted in Home Elevators, Platform Stairlifts, Stair Lift Blog, Vertical Platform Lift and tagged Atlanta stair lift prices, atlanta stair lifts straight curved platform, Garaventa Inclined Platform Wheelchair Lift, stair lift or vertical platform lift, vertical platform lift north georgia alabama tennessee, wheelchair inclined platform lift. Bookmark the permalink.